Browse plenty of information and get advice on how to immigrate to Australia from the UK. Every day we receive hundreds of questions and every day we answer them. Give us a call or drop an email. 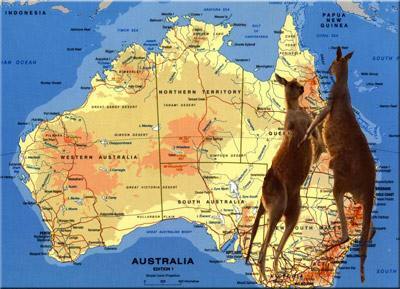 Our job is to help you move and organize the process of shipping to Australia. Find out what to do to be able to migrate from UK to OZ. Australia takes a lot of measures to attract immigrants from all over the world to settle in, in this beautiful country. Australian government tries to attract businessmen as well as enterprising people with ideas to set up a firm, invest their money and talent, and specialists in every field which can enhance economic development of the country. Hence, promotion of loyal laws for immigrants wanting to obtain a resident status or stay permit, are focused mainly on business managers, entrepreneurs and experts in different fields. For many people Australia is a dream paradise and emigration to Australia gives a unique opportunity to arrange their professional and private future in one of the most extraordinary countries in the world. Australia is a peculiar country, the only one in the world, which occupies the whole continent. In comparison to its huge area, it is inhabited by 20 million of people only. People who want to move to Australia for economic reasons will be definitely satisfied with one of the highest average income per capita. Statistics show lack of beggars, and ironically, stray dogs instead of tramps. And in this case not wild dingo is meant, because along with koala bears and kangaroos they represent the unique Australian fauna and are national pride. Another Australian curiosity is the fact that it’s the world’s only country with “beware kangaroo” road sign. The standard of living in this country with an extremely dry climate is placed 6th in the world, but we have to take into account the living costs, which are relatively high. Certainly educated specialists, struggling in their work for years without any perspective for higher position or rise, working their asses off for the sake of corporation's good only, would accept the opportunity of getting better money for the same work without any doubts. Moreover, Australia has a multicultural population which is definitely easy to adapt to. Good level of English will ensure you are not going to feel isolated or excluded. Studying in Australia is not the cheapest. The fee varies from 10 to 13,500 Australian dollars per year. Nevertheless Australian universities have a very good esteem among others across the globe. The quality of teaching is very high. Graduation from an Australian university open a lot of doors in future career and is found very prestigious. Going back to business – the Australian government is not interested in kind of a business you would like to run after emigration. It does take a lot of care of a businessman and businesswoman and their potential which could be used for the country’s economy development. What is required for an immigrant to start business in Australia? 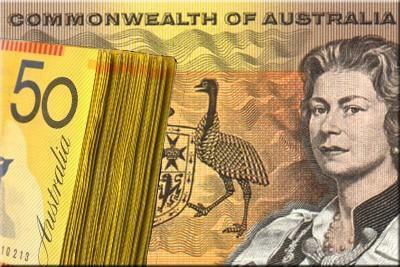 First thing is 250 000 Australian dollars confirmed by bank documents. Then the business plan and other typical documents are needed. If you got 500 000 Australian dollars, the business plan can be missed. All businessmen, regardless the ethnic origin, are welcome in Australia. Income tax for all citizens is 30%. Quite a lot, however, everything is clear, the regulations are transparent, the profit is high enough to bear with this high tax level. There is another category of Australian immigrants. Those are people who need Australian citizenship on the road to other high developed countries, like United States, Canada, or European countries. However moving to Australia just for that reason can be very tricky. There definitely will be some pitfalls on the road of emigration to Australia. But our website is here to help you with analysing all required information and taking necessary decisions and steps. Our team will try to answer any question about UK to Australia shipping and about living in this wonderful country. Independent immigration is for individual citizens who have no offers from Australian employers. Independent immigrant visa system is formed as a set of points, awarded for social and professional criteria. Another way to migrate is immigration through the sponsorship by a relative in Australia or the Australian state or territory. If a citizen, who wants to immigrate to Australia, has a relative that can become a sponsor, or the sponsor is an Australian state or territory than the necessary overall score is slightly lower. In the presence of the sponsorship provided by the Australian state / territory extra points are awarded. a permanent visa (minimum 2 years). The applicant must provide an evidence that he / she has the qualifications, skills and experience necessary for the stated positions, knowledge of English of at least IELTS 6.0. If an employer hires a citizen outside the major cities, there are less stringent requirements for obtaining a permit to enter the country - the duration of the contract should not be less than 2 years, the level of English of at least IELTS 4.5. Former Australian international students of educational institutions who did not get a sufficient score for the independent immigration may obtain a temporary visa for up to 18 months, which is given to them for the enrichment of the work experience and improvement of the English language. The visa can be only issued to a person under 45 years, did not score points for the independent immigration – is qualified in accordance with the Skilled Occupation List (SOL) . 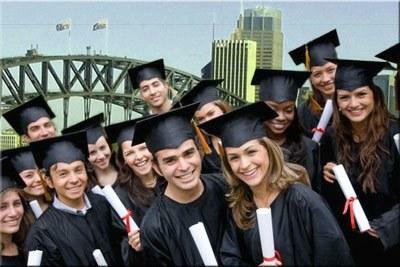 The immigrant must study in Australia for at least 2 years and received an adequate qualification and degree level. The application must be made within 6 months from graduation. In this case, during the period of the temporary visa if the correct score for the independent immigration is gained the immigrant can apply for a permanent visa. Graduates of the engineering faculties of several foreign institutions also may be eligible for a temporary visa if they are not more than 31 years and they have applied for a visa not later than 2 years after graduation. The required level of English in this case must be at least IELTS 6.0. Do you need an immigration agent? There are a number of possibilities to apply for the business immigration visa of different levels. Businessmen, owners or co-owners of the business, as well as top managers, who want to start or buy a business in Australia, get a permanent visa in two stages. The first step is to apply for a temporary visa for a period of 4 years. The applicant needs to be under 45 years old, demonstrate proficiency in English at IELTS 5.0, and verify opportunities of business, the type of business activities must be with Australian law. The candidate has to provide an evidence that in two of the four fiscal years immediately before applying the net value of business assets of the applicant (and / or spouse / spouse of the applicant) is not less than 200 000 AUD; in that case, if the business is a public company, the applicant (and / or spouse (s) of the applicant) must own at least 10% of the shares and the annual turnover cannot be less than 500,000 AUD. In addition, you must provide a proof of business and personal assets of a net value of at least 500 000 AUD, legally obtained, which can be transferred to Australia within two years from the date of issue of the visa, and the availability of additional funds for travel and accommodation in Australia. The second phase opens the possibility of obtaining a permanent visa. The applicant must prove that he has been for at least two years the owner / co-owner of a business in Australia. In addition to this, we must show within 12 months from applying: the net value of the business assets of the applicant (and / or spouse / spouse of the applicant) is not less than 100 000 AUD; annual turnover of the business showed the value of at least 300 000 AUD and in the business on a permanent basis worked at least two people (citizens / permanent residents of Australia or New Zealand citizens) who are not family members of the applicant, and the net value of the business and personal assets must be of at least 250,000 AUD. There is a possibility of the independent immigration or through sponsorship by the government of the State or Territory. For executives and managers of large companies that have a position of one of the top three management team of the company, there are several other requirements. The process of obtaining a permanent visa consists of two phases. However, for this category, there is also the possibility to get the independent immigration or immigration through sponsorship by the government of the State or Territory. With independent immigration annual turnover of the company, which employs the applicant must be at least 50 million AUD, while in case of the sponsorship - at least 10 million AUD. So, to obtain a temporary visa the following conditions must be met: age less than 45 years, the level of English IELTS 5.0; demonstration of a successful career in business that is not prohibited by Australian law. The client must provide an evidence that for two years out of four from the applying date he / she served as senior management of the company; proof of business and personal assets net have to be worth at least 500 000 AUD, legally obtained, which can be transferred to Australia within two years from the date of issue of the visa, and the availability of additional funds for travel and accommodation in Australia must be present. In the second stage of the visa process for top managers and executives of large companies get a permanent work permit, and the conditions necessary for this are identical as for the owners or co-owners of a business. Investors and businessmen, who want to invest in Australia, is another category with a possible immigration. One of the requirements to obtain a visa in this case is the investment amount in government securities for a period not shorter than four years. Again there are a couple of stages to get the full work permit. The first stage is for temporary visas. To obtain a temporary visa as an investor you must be under 45 years and possess good English language proficiency at IELTS 5.0 level. You must prove a successful, at least 3 years, career in business or career of the investor in the business and have experience of direct participation in business management, establishment or investment. In addition, you must provide evidence that for at least one of the five fiscal years from the time of the filing of the application you were directly involved in running a business of which you owned at least 10% of the shares, or you were directly involved in the management of eligible investments worth at least 1.5 million AUD, and demonstrate possession of the business assets and personal net worth not less than AUD 2.5 million over two recent financial years. You must also declare to be able to invest 1.5 million AUD of these assets. The second step is to obtain a permanent visa. You have to spend at least 2 years out of 4 in Australia. You must prove you successfully fulfilled all conditions from the temporary visa period. 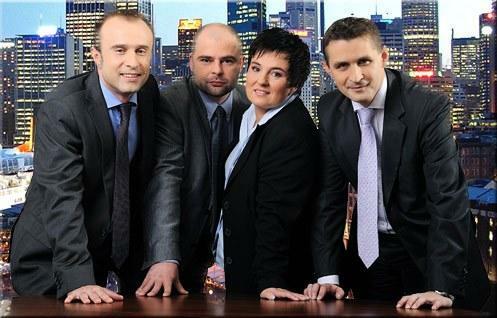 In addition, you must provide proof that the net value of the business assets is not less than 400 000 AUD. If the business is a joint stock company you must own at least 10% of the shares. The turnover of the company has to be at least 3 million AUD. You have to demonstrate business and personal assets of the net value of at least 1.5 million AUD which can be moved into Australia within two years from the date of issue of the visa. For a person who is in Australia on a temporary visa, is the owner of a business and has been actively involved in the management of employees or is the MD of a business located in rural areas with the sponsorship from the relevant state or territory there are certain types of visas available too. Conditions permitting for this type of visa are: demonstration of having a successful career in business approved by Australian Government. The applicant remained in Australia for one of the eligible types of visas for at least 9 months out of 12 from the date of application. 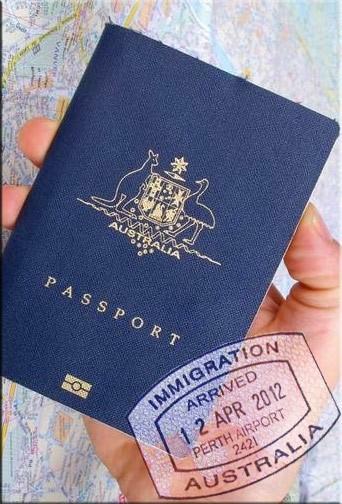 You must be the owner or co-owner of a business in Australia for at least 18 months from the date of visa application. During the 12 months prior to applying the net value of the property must be at least 250 000 AUD, the net value of the business assets at least 100 000 AUD and he must be directly involved in running the business. He has received the required score in the evaluation of business skills. Points for this type of visa are awarded for the level of business development, age, language skills, and the value of personal property and the presence of the sponsorship of the Australian state or territory. How to get a visa for Australia?